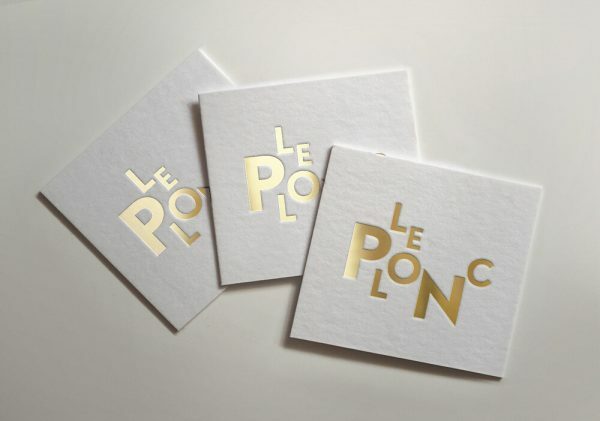 Boss Branding Agency designed these business cards for a European-style wine bar and restaurant named Le Plonc Wine Bar in San Francisco, aimed at providing young professionals in cultural hubs and university precincts with easy choices of great house wines at cheap prices ($7 per glass). 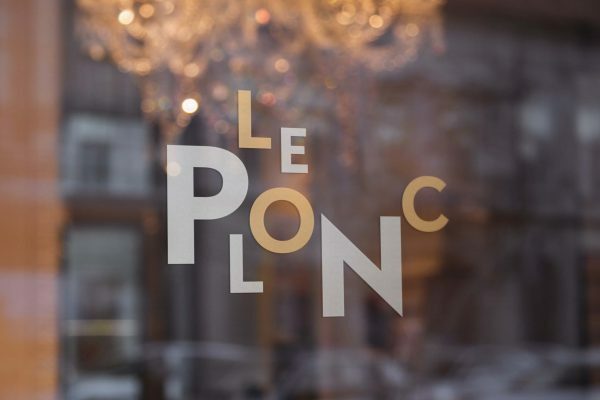 “Le Plonc’s offerings are based on the 3X3X3 concept — three sparkling wines, three whites and three reds — with regular changes to the wine offerings all year round. Its staff are knowledgeable about the wines and happy to talk about them if the customer wishes. It will also offer pre-packaged wines for customers wanting take-home wine and gifts,” said Emma Karkar, the Director of Boss Branding Agency. 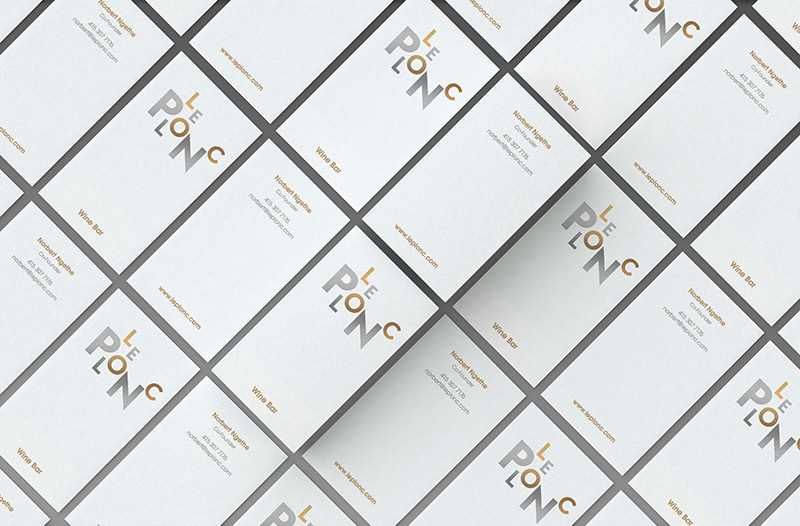 Le Plonc approached Boss Branding Agency for the branding project. 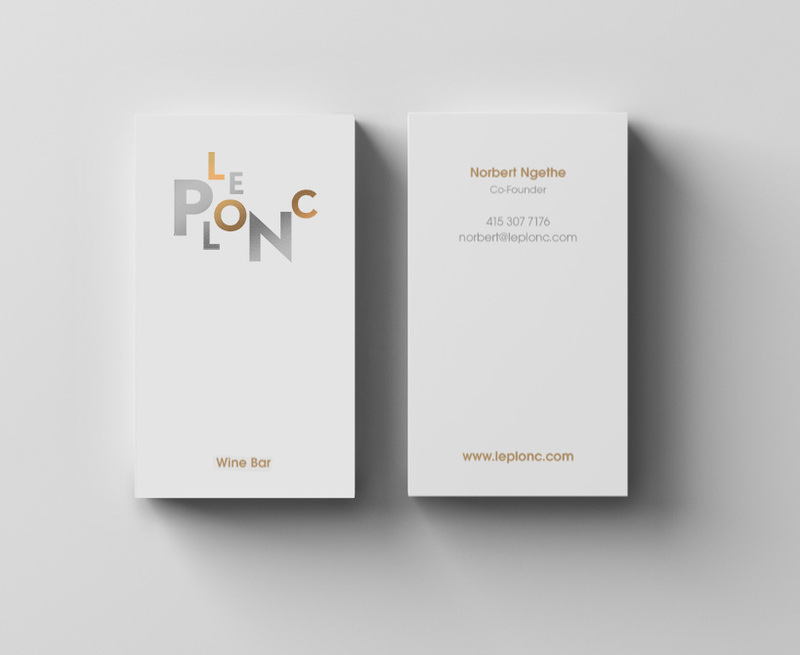 The design objective is to provide a ‘Le Plonc experience’ that will ensure customer confidence in their choice of wines.  The end goal is to create a quality and recognizable brand that enjoys a high degree of customer loyalty in numerous select locations. Despite it being a minimalist design, the logotype on the business card is quite a catchy one due to its text arrangements. One could say that it’s a twist to an otherwise simple card, “Our brief was to take the Mickey out of the wine buffs and to give the brand a tongue-in-cheek air of French sophistication with a bohemian edge. Hence, the satirical take on ‘plonk’ generally used to describe cheap, low-quality wine by preceding it with the French definite article ‘Le’ and replacing the ‘k’ with ‘c’,” Emma explained. These business cards were printed on Pearl Artboard Satin, 420gsm; went through velvet lamination and metallic gold foiling for that added elegance and delicate feel.